Is a perfect small scale model of the famous Ghiberti’s “Paradise Door”, perfectly chiseled in every small detail. The model comes from the Marchesi Ginory collection of the XIX century. Dimension: Height 28.5″ – Width 22.4″ – Depth 6.3″ cm. 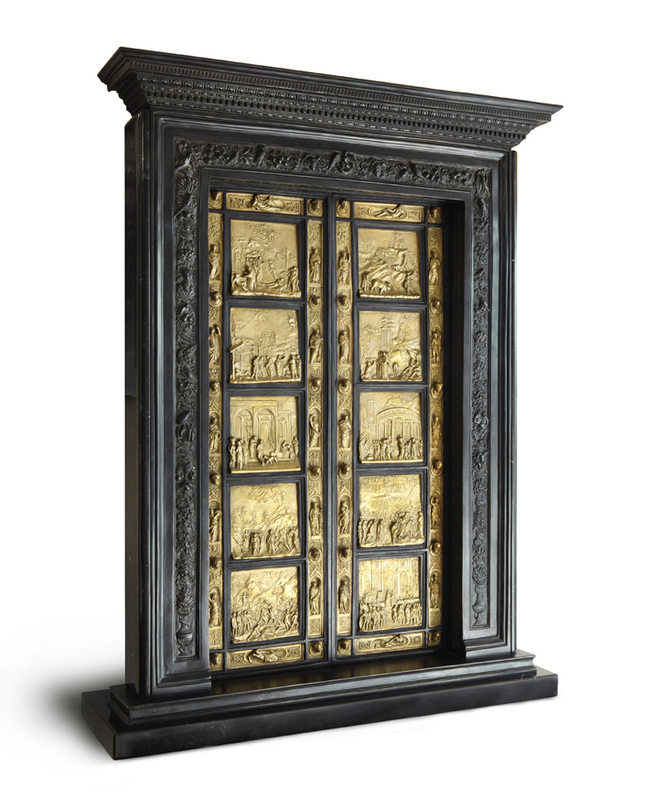 All the Classical and Renaissance art executed by the Marinelli Foundry is created through moulds made directly on the original Works of Art at the beginning of the last century. These original moulds are owned by and a part of the Ferdinando Marinelli Artistic Foundry heritage.